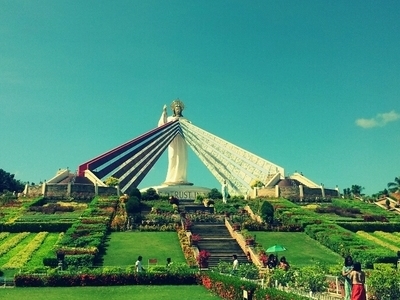 The Divine Mercy Shrine of El Salvador, Misamis Oriental, Philippines is located in Divine Mercy Hills, overlooking Macajalar Bay on the Mindanao island, southern part of the Philippines. 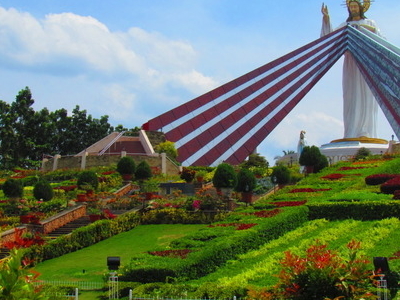 The nine-hectare land for the Shrine was purchased for a nominal amount and the shrine was paid for by donations.The shrine was completed in 2008 and is noted for having a 15.24 metre (50-feet) statue of the Divine Mercy of Jesus. It serves as a pilgrimage site for Divine Mercy devotees. Here's the our members favorite photos of "Shrines in Mindanao". Upload your photo of Divine Mercy Shrine!